Streamlines and stress contours follow smooth continuous surfaces, suggesting the ideal design form is also a smooth continuous surface. 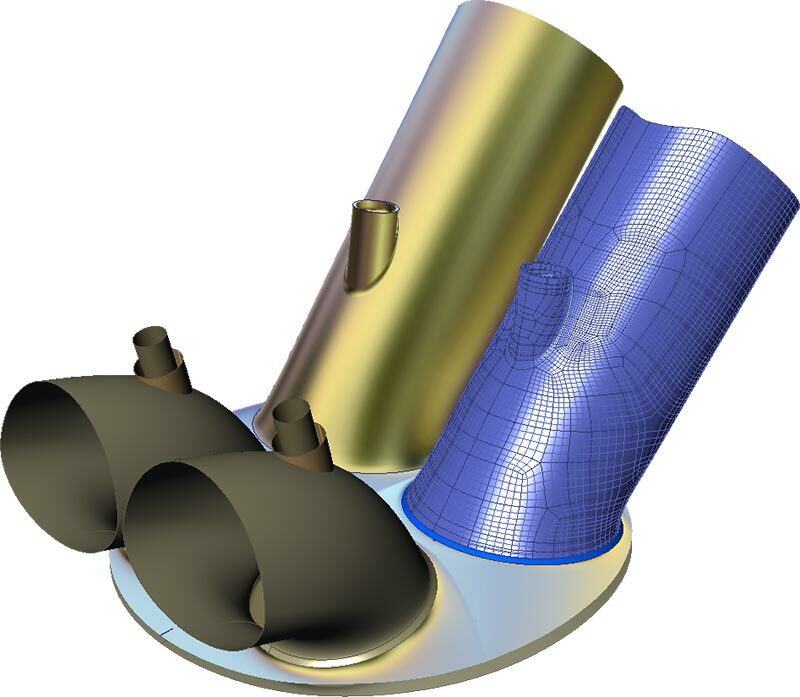 Traditional solids based CAD on the other hand was initially developed with CNC machines in mind, where the predominate shapes are either flat or circular surfaces with fixed radius blends. 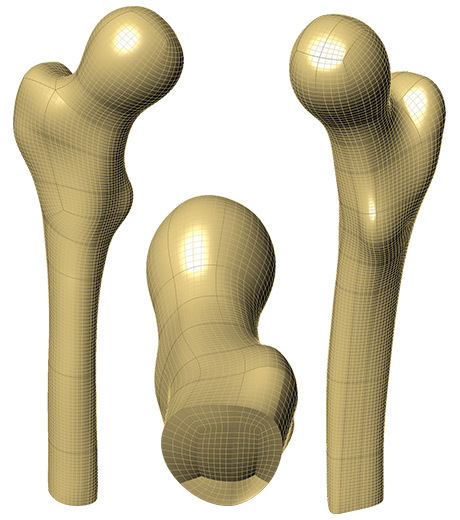 Clearly there is a disconnect between current CAD methods and the optimum ideal shape. 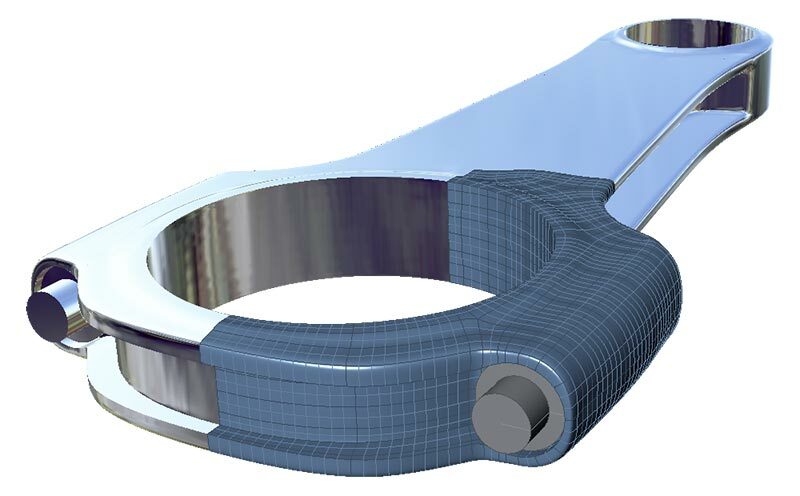 In traditional analysis, CAD comes first, meaning the CAE process has to conform to the dictates of a technology that was developed before the introduction of main stream analysis methods. Meaning the paradigm of here is the part now mesh it is both antiquated and highly restrictive by virtue of enforcing massive compromises on the meshes, which in turn compromises the accuracy of the analysis and ultimately leads to a compromised design. There is a much better way... Design by Simulation... 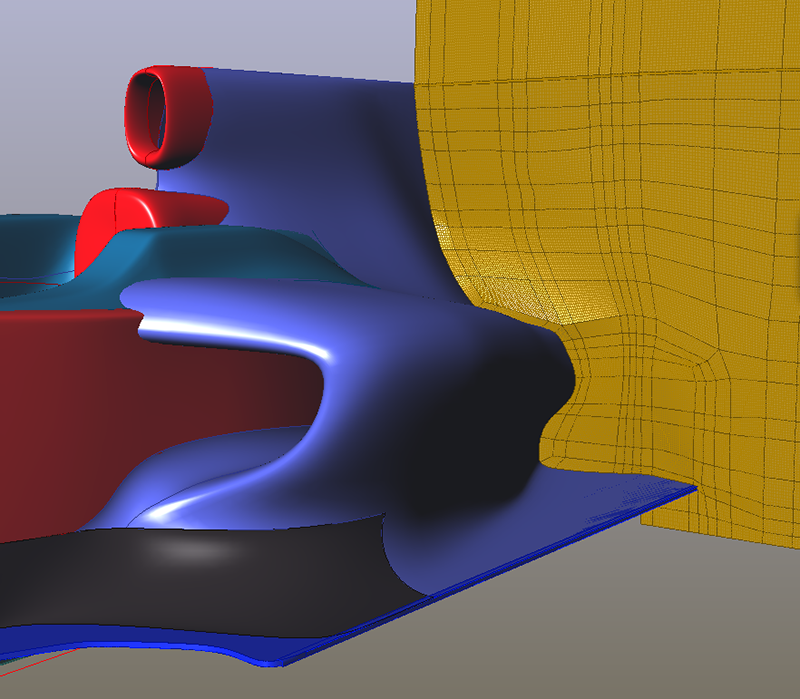 Create the shape for the optimised flow body and the minimal mass stressed components first, then add the detailed CAD last. 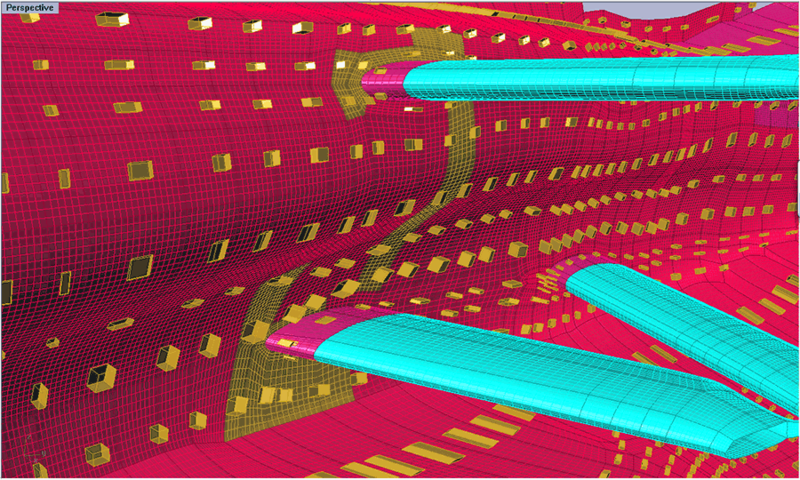 Use the optimized simulation driven design as a guide. When you make a design change through the guide surfaces, you see the results immediately in a coupled design feedback loop. cheetahSTC takes CAD integration one step further than just plugging in a program to make a mesh on a fixed surface geometry. 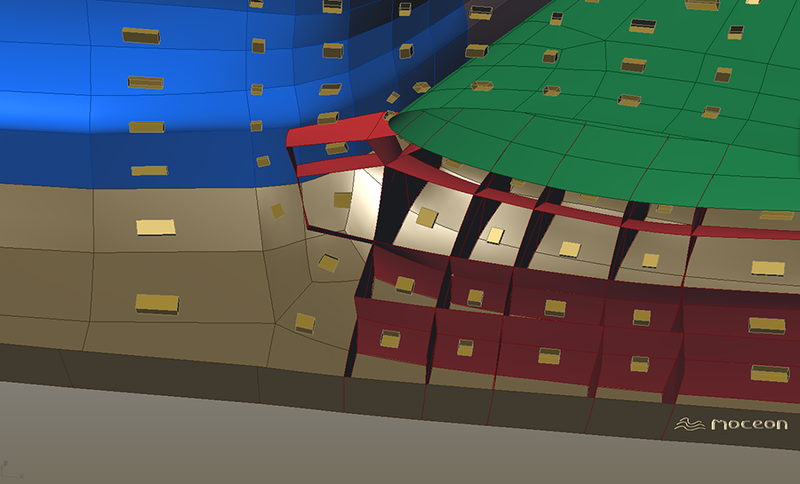 Instead it creates a new higher order mesh definition, the Cell3 that is operated on as CAD geometry. This definition, the Cell3 is a 3D iso parametric definition of space, it's a true Solids definition with iso parametrics in 3 dimensions as opposed to a Brep which is only a boundary surface representation and limited to 2 iso parametric dimensions. 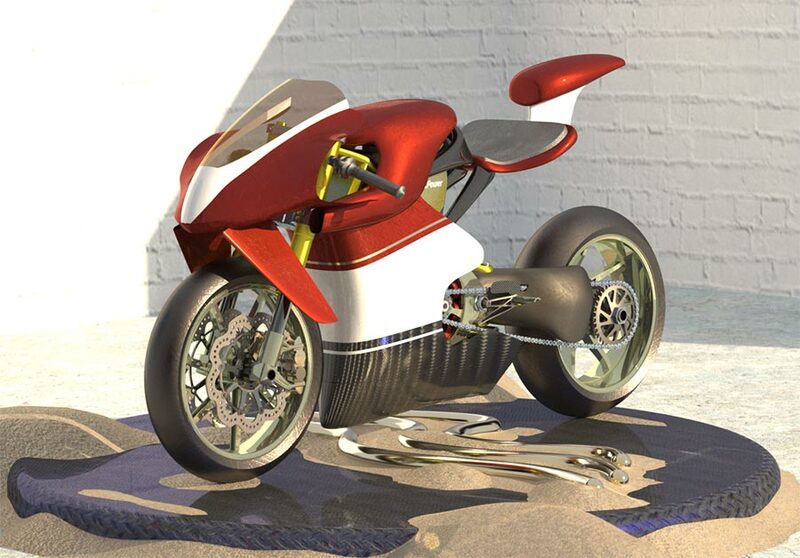 cheetahSTC creates these Cell3 and manipulates the models with CAD functionality, whilst maintaining full STC compliance; meaning this is unbreakable parametric CAD. 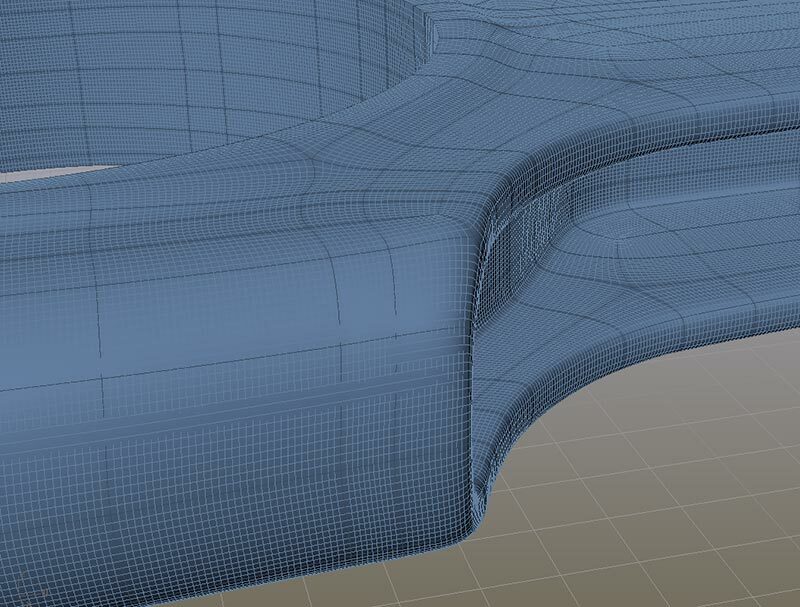 Creating a full hex mesh was once considered too hard or takes too long. Not any more, cheetahSTC is the absolute fastest way to create a hex mesh and in several cases even faster than setting up and creating an auto generated mesh. 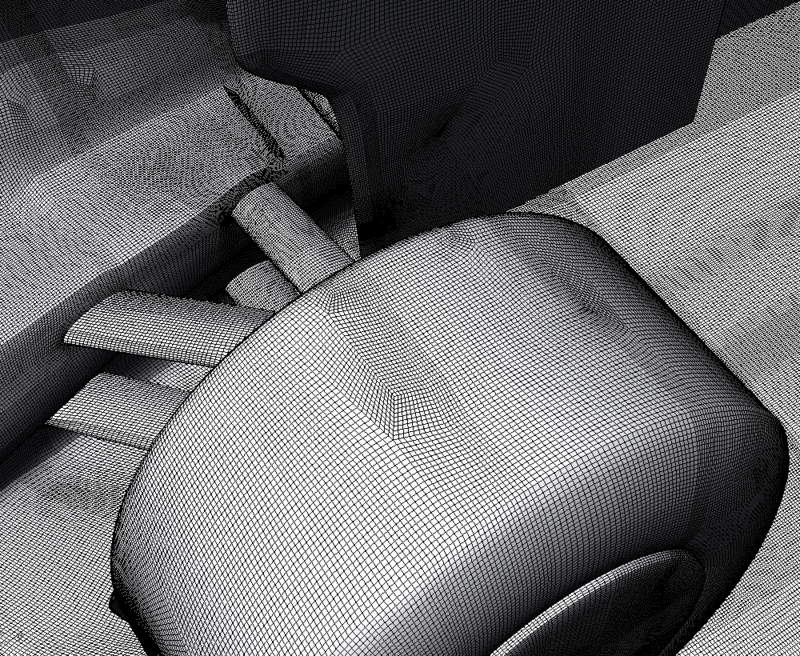 A high quality Hex mesh is another step above and beyond all other meshes since it speeds up the simulation and reduces errors. Ok its main benefit is the simulation doesn't crash. This extra degree of quality comes from smoothing the mesh. 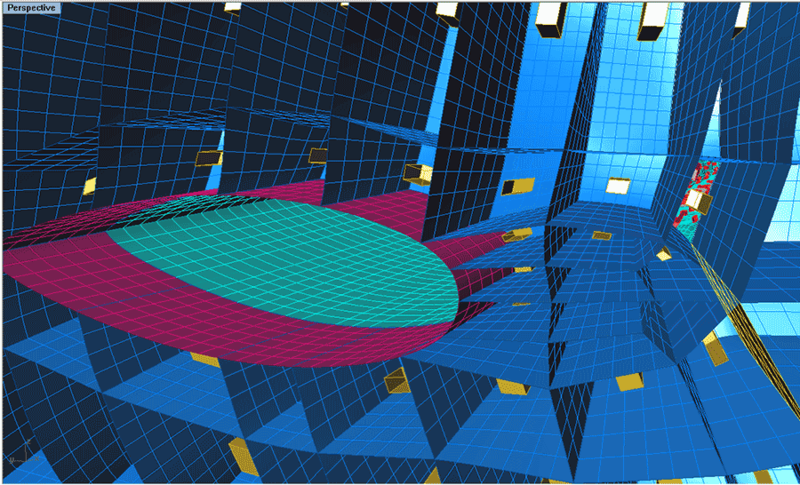 cheetahSTC has an extended array of smoothers that are not available to any other mesh form other than the Cell3. 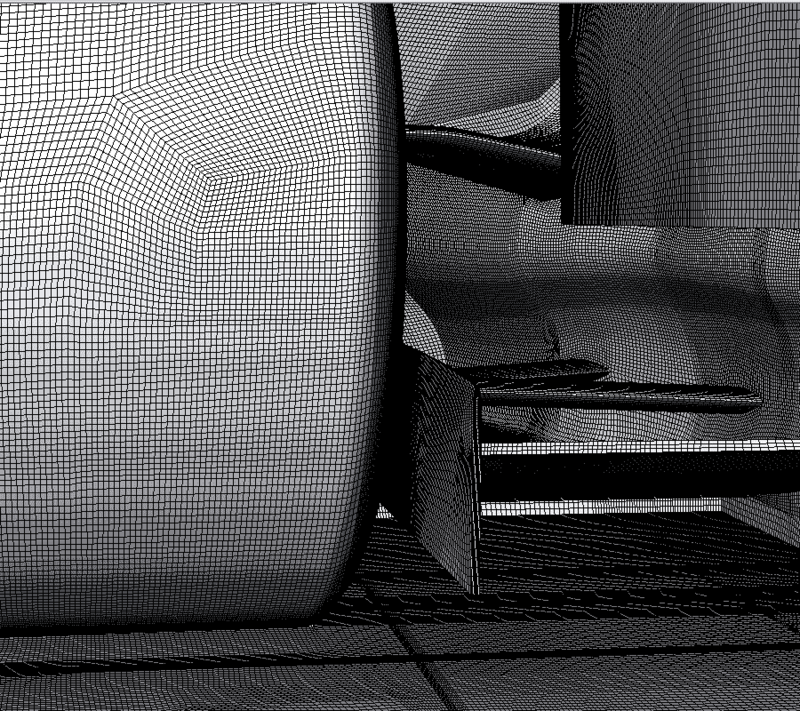 Whether you are investigating the stall characteristics of a wing, improving the performance of an engine or designing the next generation race car, the Cell3 mesh format is the simulation solution you have been searching for. There are no limits to the size or level of complexity of a Cell3 model. Sure enough you need a certain level of skill and determination but the rewards far outweigh the effort especially when you consider the sophistication of the results. Set yourself apart from all the rest and enjoy the rewards of simulation technology for professionals. The Cell3 has 3 distinct advantages over any other mesh format. Firstly it can be reused and morphed, secondly it is a CAD definition in its own right and thirdly it is mesh independent. 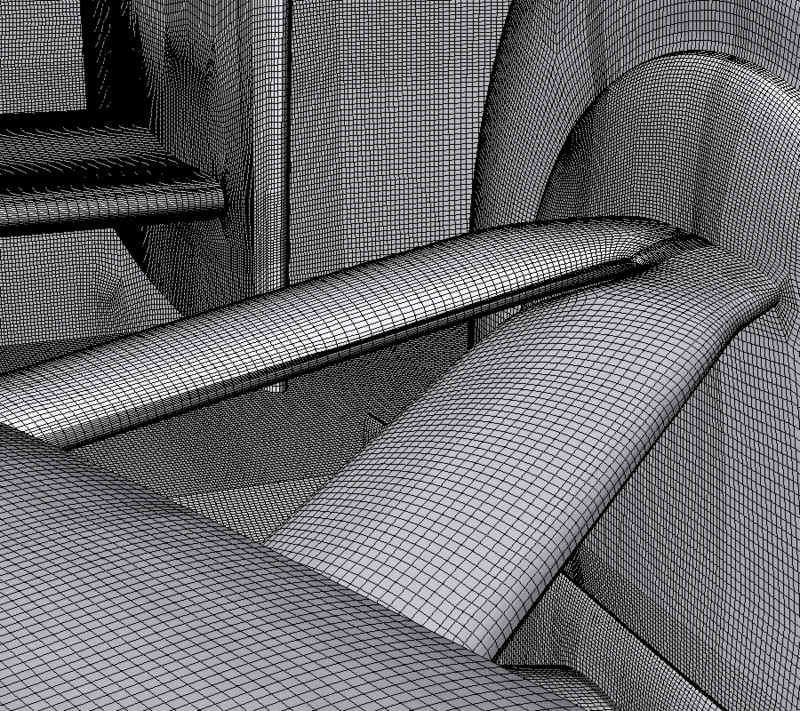 OpenSource CFD programs such as OpenFoam fly with a high quality all Hexahedral mesh. You can use LES turbulence models instead of being limited to the averaging methods of RANS (RAS). Solve FreeSurface (VOF) models quickly and with confidence. 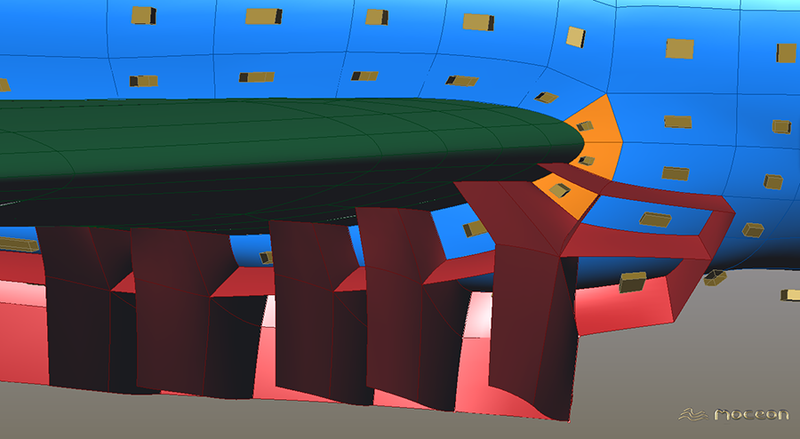 Tackle complex moving engine mesh models with combustion and spray atomization, conduct design optimization studies on wings and aerfoils, whilst accurately predicting stall conditions. Do all of this and pay zero dollars for unlimited parallel CFD solver licenses. 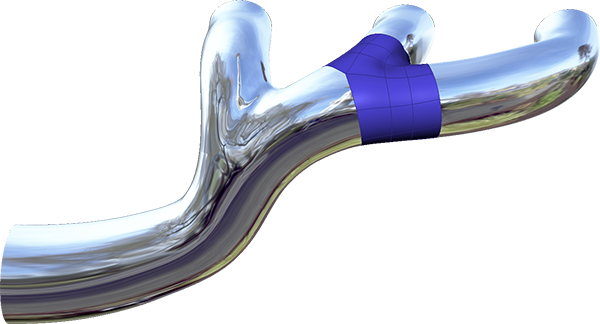 If you are running Abaqus, chances are you're probably limited to the types of models you can solve. Well not any more. There is no practical limit to the geometric complexity of the model with cheetahSTC and the Cell3.